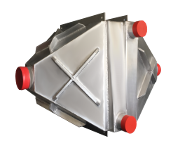 Experience and Specialization that Matters. 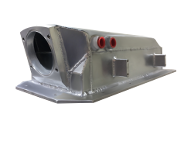 Whether your project requires Air-to-Air or Liquid-to-Air cooling, Bell Intercoolers can provide a solution that handles the temperature ranges of practically any type of application. 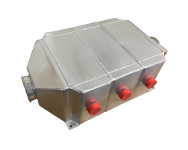 We have extensive experience designing and fabricating Charge-Air Coolers, or "Intercoolers" for everything from 400hp drag cars and 5000+hp tractor pulling applications to fuel cell power stations, marine engines, enclosed electronics, vacuum trucks, engine testing facilities, and many other turbo/supercharged applications. 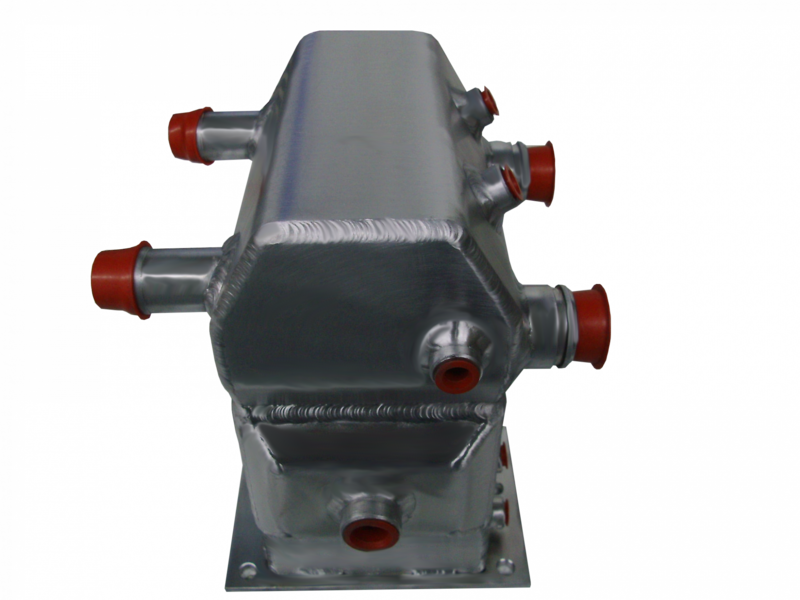 Single Core or Multi-Core; Single Pass, Multi Pass or Cross Flow; High Pressure or Low Pressure applications; Single or Twin Turbo Configurations; Horizontal or Vertical Flow Systems; V-Mounts, Front/Side Mount, Manifold Mount; Air-to-Air, Liquid-to-Air or Fan-driven applications; Highly Engineered cooling systems; Protective Marine Coatings, Anodized or Buffed Aluminum finishes. 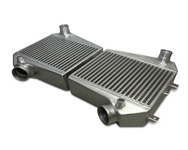 You will not find another Charge-Air Cooler that offers a better combination of performance, durability and flow than that of a Bell Intercoolers. 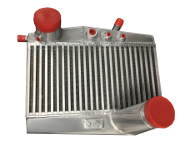 It is this combination that has allowed Bell Intercoolers to remain the top choice among demanding OEMs in a variety of different industries, elite racing teams, performance shops, and discerning motorsports enthusiast. 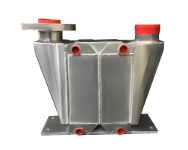 Our cooling systems have a clean, natural, smooth finish and fit perfectly on the mounting points for which they were designed. 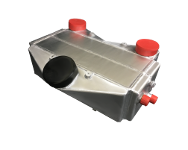 We design and manufacture every product with strict size, configuration and performance tolerances to ensure a perfect and easy fit from installation. 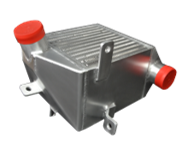 Our versatile Air-to-Air Charge-Air Coolers and Intercoolers can be tailored to a wide range of applications. 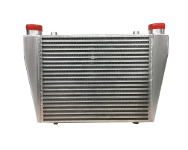 A well-designed Air-to-Air Charge-Air Cooler or Intercooler represents the most cost efficient and reliable method of reducing intake charge temperatures in turbocharged, supercharged or compressed-air applications. 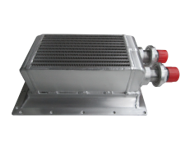 If you are faced with the challenges of space limitations, a lack of access to cooling air flow, or your heat dissipation needs are just too great, a properly configured Bell Intercoolers Liquid-to-Air Charge-Air Cooler or Intercooler system may represent the best choice for you. 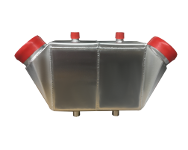 We look forward to helping you design your next project! 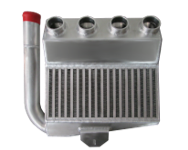 At Bell Intercoolers we understand that while the basic concept of cooling is fairly straightforward, there are areas of theory and execution where even the most seasoned veteran could use some expert advice to create the best intercooler system for their application. 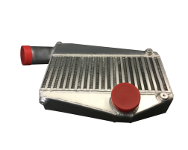 Bell Intercoolers Technical, Design and Engineering Support is your open line of communication to our engineering team. 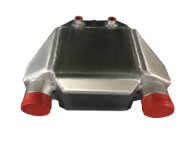 Fill out our Custom Cooling System Request Form and one of our Design Engineers will get in touch with you.